Click here to watch a brief video. 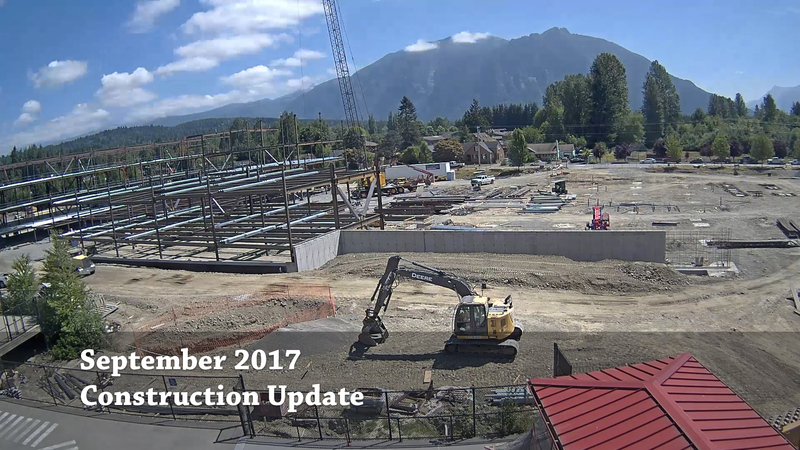 View a time lapse capture of Mount Si High School's first two buildings taking shape, along with foundation work on Snoqualmie Elementary's new gymnasium, and other improvement projects around the District. For additional photos and details about the Mount Si High School construction, read the September 2017 Status Report from the Project Manager. The project remains on schedule and within budget, as planned.